In every decade since Doug Henning became a star in the 1970s, American television has always had at least one reigning star of magic, from Henning and David Copperfield (who in fact overlapped as American magic celebrities) to David Blaine. The phenomenon isn’t unique to the U.S., however, as stars of TV magic rose throughout Europe, parts of South America, and eventually in Japan as well. 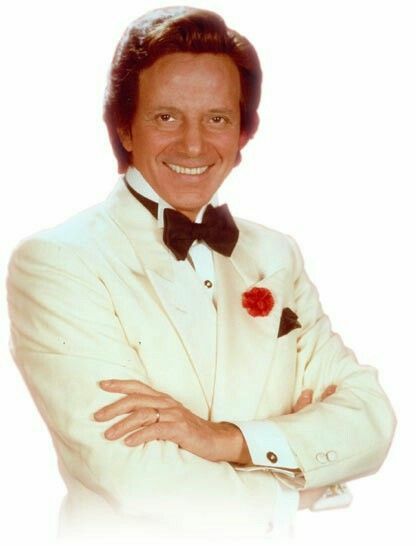 In Europe many of these nationally known magicians didn’t just star in their own hour-long “specials” as Henning and Copperfield did, but rather in their own weekly series, which were often long-running, including Juan Tamariz in Spain and Paul Daniels in Great Britain, and their star power was often huge as a result. In Italy there have been several such national television stars, but the name to truly conjure with in the 1970s was that of Silvan. Born Aldo G. Savoldello in Venice in 1937, the son of a chief of police, the young magic enthusiast followed a classic progressive path (the days of starting out with manipulative magic now seem sadly past us, but it was actually a fine way for great magicians to develop), beginning with an early passion for manipulative magic [Take Two #16: Lukas Lee and Yu Ho Jin; Take Two #19: Jean Valton; Take Two #36: Fred Kaps; Take Two #41: Cardini; Take Two #36: Fred Kaps; Take Two #48: Fantasio], and winning a television magic contest in 1955. By the time he was 20 he was touring with a full evening show and had become a nationally recognized celebrity. Silvan’s interest in classical magic never abated, and he also developed an original dove act. Opening for Edith Piaf at the Olympia in Paris in 1957, and performing in night clubs in Spain and Portugal in 1959, by the early 1960s he was touring the world’s top nightclubs including the Savoy in London, the Latin Quarter in New York City, and the Moulin Rouge in Paris. He was featured in Las Vegas for two years at the Tropicana “Folies Bergere” revue, and between 1969 and 1971 he made multiple appearances at the London Palladium. After about 1970 and the birth of his son and daughter, he restricted his international touring and confined himself primarily to Italy, concentrating on his blossoming television work. It was during this period that he expanded his interests and repertoire into mentalism and also large-scale illusions. He would go on to star in his own weekly television series, “Sim Sala Bim,” for which he would eventually star in more than 75 episodes. Silvan’s performing record as a “general practitioner” reflects a tremendously accomplished career, including as the author of a dozen books for both magicians and the public, not to mention the sale of more than a million magic kits for beginners. In 2015 he wrote his memoir, Silvan: The Magic of Life – My Story, published by the leading Italian publisher Mondadori, which was widely reviewed in the Italian press. Honored internationally within the world of magic, he was twice (in 1991 and 2000) named Academy of Magical Arts (Magic Castle) Magician of the Year, and then in 2015 was awarded the AMA’s Master Fellowship, and in 2017 he received the Magic Circle’s Devant Award. 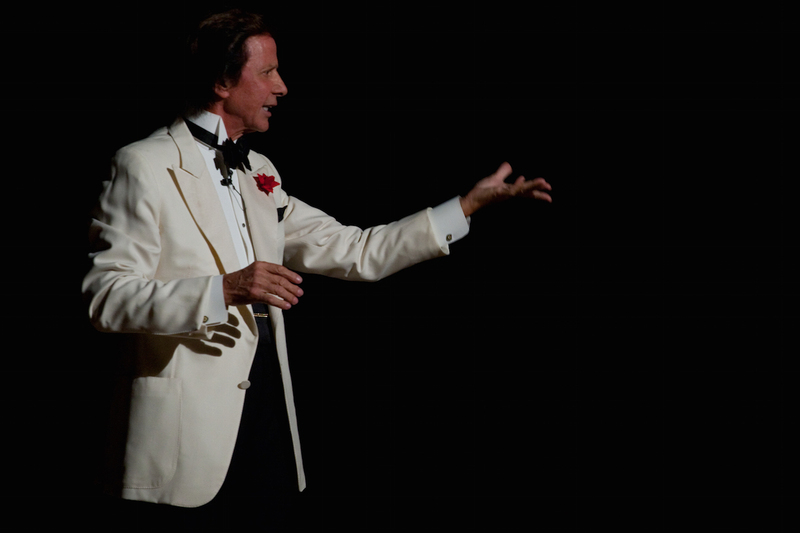 And even now at the age of 80 you can still find him at local magicians’ gatherings, performing a close-up card routine after dinner (as evidenced by a cell phone video I’ve recently seen, recorded just a few days ago in Italy). I first encountered Silvan at the Tannen’s Jubilee in my late teens, which I attended almost annually from my early teens and throughout my twenties. Tannen’s would book top acts from around the world, including top FISM contest winners, and so I had the chance at this yearly gathering to see many of the best and most accomplished magicians of the era, and not just the American acts. My close reading of the lengthy FISM reports in Genii magazine, written by Bill Larsen, were thus well informed by the names I would thereby recognize on the stage of the evening gala shows at Tannen’s. I don’t recall much of the detail of Silvan’s act from that first experience, although history would indicate that he probably did his entire act of manipulative magic interspersed with doves. What I do recall indelibly however were the closing seconds of his act. Like many dove acts, he concluded by placing of the birds in a cage, and then, briefly covering the cage with a cloth, the entire cage, birds and all, would instantly vanish into nothingness. I had seen the feat before, but Silvan brought a power and presence to it that I never forgot and would always think of when hearing his name. Using a large cloth of heavy black velvet bordered in silver trim, he whisked the cloth away with a muscular flourish that reminded me of a bullfighter and his cape. Giving it a spin he tossed it aside and stepped forward to accept the applause, and he truly seemed ten feet tall to me in that instant. He had the presence of a giant, and it was a lesson in showmanship – a trick that many presented, but that was transformed into a masterful feat of power in his stylish hands. In 1996 I would have the pleasure to be invited as the ninth visiting scholar at the Silvan Magic Academy, an intensive four-day program limited to twenty students, produced by a non-profit foundation named after Silvan. It was a fabulous four days of magic along with feasting twice a day at a nearby family style Tuscan restaurant, in the village of San Giuliano Terme. Although Silvan was not present it was an honor to be teaching in the school that carried his name. Silvan and I also share a lifelong passion for activism in support of the scientific skepticism movement, and in 2017 Silvan’s image graced the cover of Query magazine, the journal of CICAP, the Italian Committee for the Control of Pseudoscience Affirmations. Just a year later Silvan and I would both perform at 1997 Ron MacMillan convention in London, but it was at the 2005 Magic Circle Centenary conference that Silvan impressed me yet again, when in a large theater he performed only card manipulation, dating back to the act he had developed in his youth. Although younger artists today perform more difficult and skillful manipulations, I was amazed at the power Silvan was able to achieve on a bare stage, with a bit of music, a pack of playing cards, and immeasurable charisma. There are magical stars to be found all around our world and it’s difficult for Americans, especially non-magicians, to be exposed to their work. I’m pleased to be able to find sufficient video resources online in order to pay tribute to a true grand master of magic. Remarkably, Silvan at the age of 80 has yet to retire, and he still performs his full evening theater show several times a year around Italy. A glance at the “latest news” page on his website demonstrates that it remains filled with contemporary clippings (use Google Translate for an instant online translation). My thanks to my friend, circus and variety arts historian, producer and director, Raffaele de Ritis, for his kind assistance in fact checking and providing certain historical details for this piece. Thanks to his extensive television work, there is a lot of Silvan’s performance material that can be found online. I’ve tried to make some selections here that not only provide an interesting variety of samples, but that also work for English speaking audiences, where the magic comes across even when accompanied by commentary and dialogue in Italian. Please invest the respect and attention this great artist deserves, and to help transcend the extreme constraints of recorded video, be sure to expand the browser to the max, turn up the sound, and put the smart phone aside for an uninterrupted viewing of each clip. I grew up watching “The Ed Sullivan Show” and also “Hollywood Palace,” both of which featured countless icons of American show business as well as international variety acts, including magicians, and I would check the listings each week in search of magic acts on both shows. As it turns out, Silvan was a guest on the very first episode of “Hollywood Palace,” hosted by Bing Crosby, so for show business enthusiasts I’ve left the opening credits intact in this clip, in which Silvan performs some selections from his bird act, circa 1964, recorded when he was headlining at the Tropicana. This charming and magical performance clearly demonstrates how Silvan could take a classic of stage magic and bring it to absolute life in more ways than one, with his own personality and commitment to the magical reality of the illusion. So-called Grand Illusion – large scale illusions involving human bodies – are often performed weakly, leaving the audience to feel little more than wonder at the puzzle of the method. Here’s how a magician with a passion for magic and an understanding of conjuring builds on the work of he predecessors and still makes the piece his own. As I discussed in my Take Two about Grand Illusion, Robert Harbin’s “Zig-Zag Girl” is one of the great illusions of the 20th century, and I included a clip of Harbin’s own performance in that installment. Silvan has clearly studied Harbin’s performance – they were personal friends – but then he adds his own distinct style, executing key elements at super slow speed and engaging the audience with the ensuing sense of anticipation. This recording is taken from the Italian TV show, "Canzonissima," recorded in 1972, the top Italian Saturday prime-time show of the era, and the woman is Italian theatre and song superstar Loretta Goggi. When you can make the time, I highly recommend this 14-minute mini-documentary made in 2014 by Gabriele Trapani. It’s wonderful to see Silvan’s roomful of magic books and memorabilia in his home, and to listen to him wax thoughtfully about his art and lifelong passion, revealing the mind behind the magic. Silvan - The Great Magician from wecrosstheline on Vimeo. Finally, spanning the breath of his career, here is a recent appearance in March of 2018 with Silvan as a featured special guest on Italy's version of "Dancing With the Stars." It begins with a nice little montage of his career, and then he performs a portion of his card manipulation act – and at the age of 80, you don’t accomplish this without still practicing earnestly. I love that here he is treated as a national treasure of sorts. Would that we still have the chance to see such icons treated similarly on American television, as I grew up seeing guests on the Johnny Carson show and learned about stars from before my time, like George Burns, Jack Benny, and many more. Once nighttime television shifted generations with the advent of the David Letterman show, elder statesman became the rare exception (Sean Connery, Don Rickles) instead of a valid part of the guest list, which has since become severely limited to younger actors, musical artists, models, and professional athletes. That change reflects a loss of cultural richness for us all. For serious students, here are two lengthy versions of Silvan’s dove act. The first, circa 1957, is in black and white from French television, and likely the only recording of the act accompanied by his original music score (“Hollywood Palace” and “The Ed Sullivan Show” changed the music for many variety acts, often due to rights issues). This recording is from the French TV series, “Music Hall Parade,” produced by Gilles Margaritis, a brilliant pioneer in broadcasting variety and circus acts. And this version is a live on stage performance at the FISM gala show in Paris in 1973, the full length act concluding with the cage vanish although missing the final few seconds that I recall so vividly from my first experience seeing Silvan at the Tannen’s Jubilee. We want your feedback! Send your thoughts and comments about the Lyons Den to lyonsden@magicana.com. Jamy Ian Swiss is a magician, performer, author and consultant. Follow Jamy as he posts a pair of video clips wtih curated commentary, offering a fresh perspective on great magic and magicians. Learn more about his latest book: Preserving Mystery. More about Jamy Ian Swiss. Send comments/feedback about the Lyons Den, contact lyonsden@magicana.com.